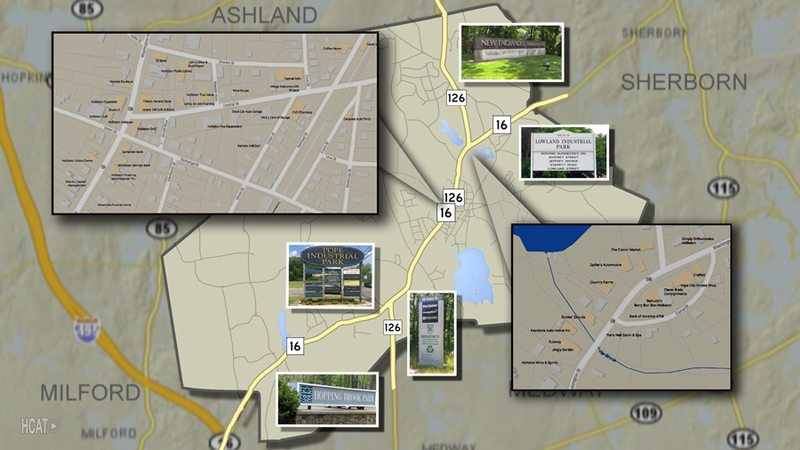 Holliston has four industrial parks/subdivisions developed primarily in the second-half of the 20th century as well as an industrially zoned corridor reminiscent of the Town’s industrial heritage. Many of our existing buildings are capable of easy retrofits and expansion to meet your needs. Hopping Brook Park Phase II (aka Hopping Brook Business Park) infrastructure is currently under construction and represents the largest tract of raw industrial land available in the community. View Local Business Snapshot List.